SPACIOUS JR. ONE BDRM ON HIGH FLOOR IN DESIRABLE JAMES HOUSE! THIS UNIT FEATURES CHERRY HARDWOOD FLOORS THRUOUT, BUILT IN CLOSETS/STORAGE, HEATED INDOOR PKG & ADDL STORAGE ALL IN A FULL AMENITY BLDG WITH OUTDOOR POOL/EXERCISE ROOM. BLDG RECENTLY HAD NEW WINDOWS INSTALLED AND IS FHA APPROVED. UNIT IS W/IN WALKING DIST TO NORTH AVE BEACH, MICH AVE, GREAT REST/STORES AND PUBLIC TRANS IN A PREMIUM OLD TOWN LOCATION!! 1560 N Sandburg Terrace #2109 Chicago, Illinois 60610 is a condo property, which sold for $152,835. 1560 N Sandburg Terrace #2109 has 1 bedroom(s) and 1 bath(s). 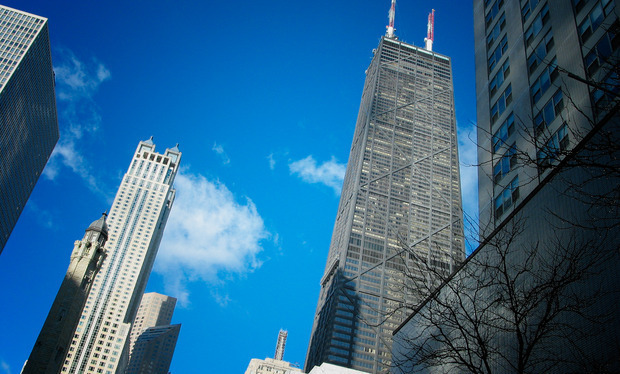 Want to learn more about 1560 N Sandburg Terrace #2109 Chicago, Illinois 60610? Contact an @properties agent to request more info.